Big sporting events always mean big advertising budgets, and brands trying to go the extra mile to capitalize on the fans’ enthusiasm. 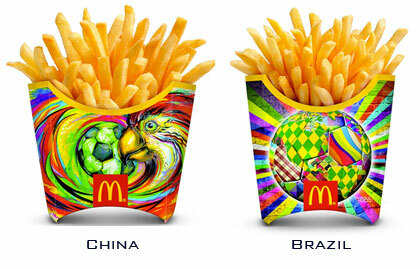 The best advertising campaigns are often those that help people communicate their true feelings and emotions. 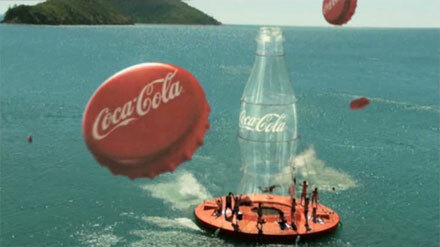 This mobile campaign from Diageo, which ran in Brazil, does just that. And although its not overly complex or hi-tech, it certainly adds a bit of fun and helped people express what they really feel on Father’s Day. 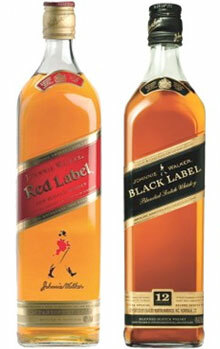 And according to Diageo, they learned several key lessons from running this campaign. Over in Australia, one of the world’s largest brands is using advanced mobile technology on smartphones in a terrific way. 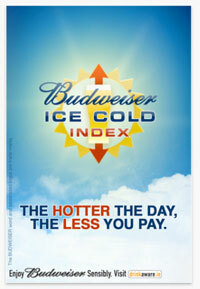 The Hotter The Day – The Less You Pay! Beer is of course a very popular drink in Ireland, and most people already have a favorite brand of beer that they drink on a regular basis. So what can a beer brand do to encourage Irish men to try a different beer when they go to the pub? For quite some time, the Coca-Cola company has been supporting environmental causes, including contributions to World Wildlife Foundation (WWF) to help the group protect polar bears and their habitat. 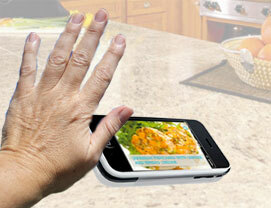 There are lots of cooking apps around, but only one that lets you control the cookbook with a wave of your hand! Augmented Reality (AR) is an interesting technology that has been rapidly adopted by mobile marketers over the past couple of years. One the biggest consumer trends in television these days is the rapid growth of the “Dual Screen” experience. In other words, viewers who use a mobile or a PC at the same time as they watch a normal show on TV to augment the TV experience. 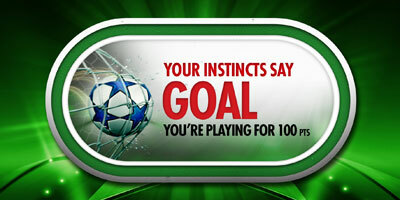 Building on this new consumer trend, global beer brand Heineken has launched what they claim to be the first “dual screen” mobile marketing campaign around the 2011 UEFA Champions League tournament. Starbucks and UK mobile operator O2 have announced the start of a 6-month trial of O2′s new location-based mobile advertising platform. Global cosmetics company L’Oreal will also participate in the trial. 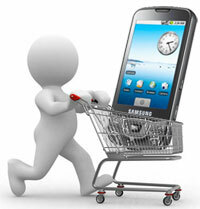 Successful retail companies know that communicating directly with their consumers can be very good for business, and that mobile offers a very powerful channel to do this. But actually implementing this communication is often not an easy task. Want To Buy A Friend A Drink? Interested in improving your social life? 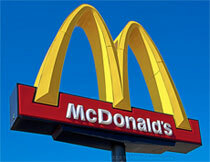 Navteq has released the findings on two major location-based advertising trials that showed very positive results. The Hong Kong Sevens is a 3-day rugby tournament that takes place each year. Guinness is a major sponsor of the tournament, and they were looking for a way to extend the consumers engagement with the brand beyond the time in the stadium. The “World’s Worst War” is a mobile campaign that ran in Japan to launch a line of spicy new snack foods. It is one of the best examples of a mobile campaign that truly engaged its audience to build a brand. It is fun, it had interesting characters, and a great viral element.